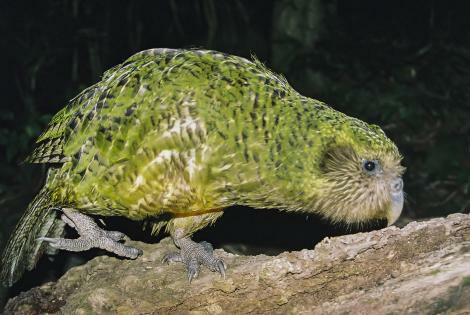 The kakapo is a large, nocturnal, flightless, lek-breeding parrot – a real oddity. 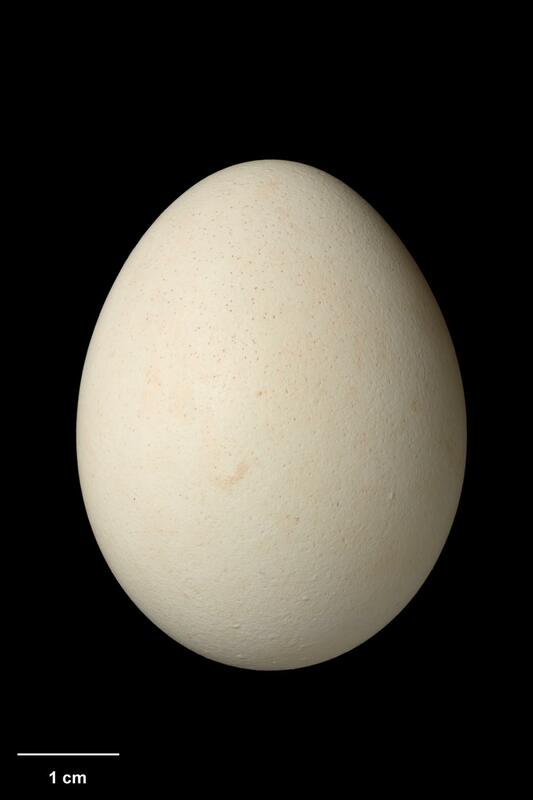 It is also critically endangered, and the focus of considerable conservation attention. 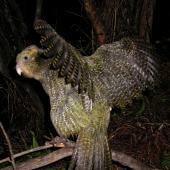 Before humans arrived it was common throughout New Zealand’s forests, but predation by introduced mammals brought it to the brink of extinction - a low point of about 50 birds only in the mid 1990s. The transfer of the whole population to predator-free islands and intensive intervention in every stage of its life has led to a steady increase in numbers. 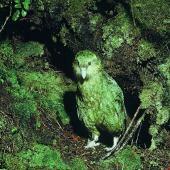 Kakapo have no close relatives. A large flightless forest-dwelling parrot, with a pale owl-like face. 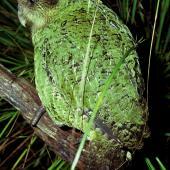 Kakapo are moss green mottled with yellow and black above, and similar but more yellow below. The bill is grey, and the legs and feet grey with pale soles. Voice: males make a deep booming call (“booming”) and a loud wheezing call (“chinging”) to attract mates to their leks. Both sexes make a loud high pitched skraak call (“skraaking”). Similar species: kaka and kea are the only species with which kakapo might be confused, but their moss green colour, large size, flightlessness and nocturnal habits make them easy to distinguish. It is also very unlikely that any kakapo exist other than at a few managed sites, and so the chances of misidentification are very low. 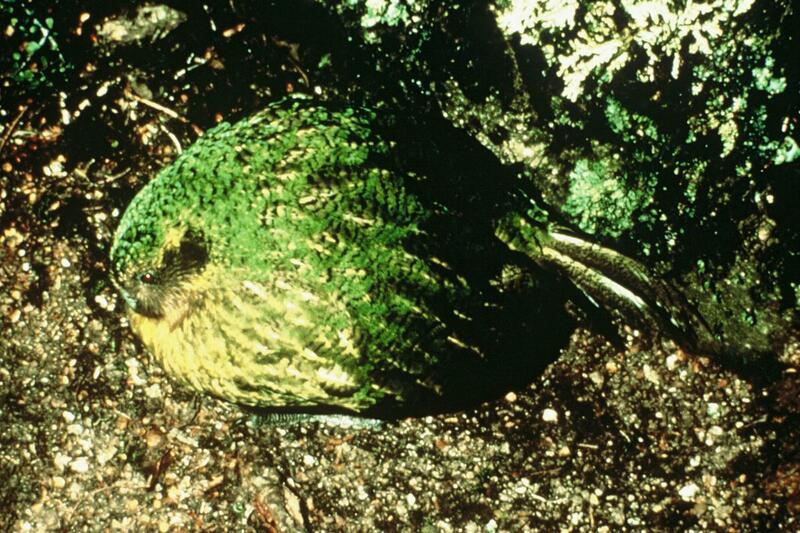 Once found throughout New Zealand, kakapo started declining in range and abundance after the arrival of Maori. They disappeared from the North Island by about 1930, but persisted longer in the wetter parts of the South Island. 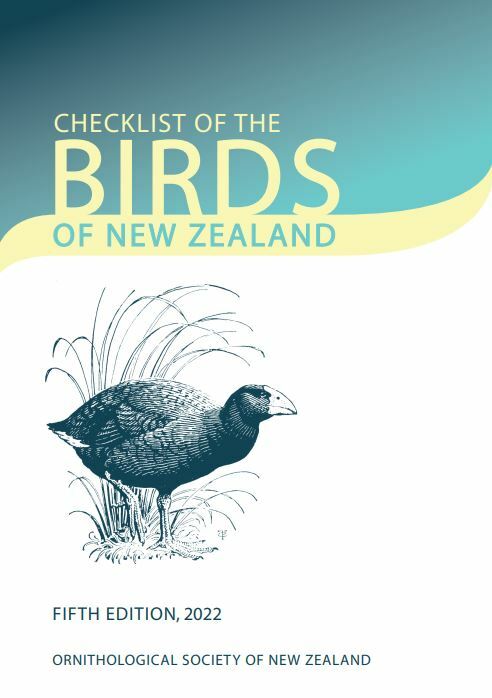 The last birds died out in Fiordland in the late 1980s. 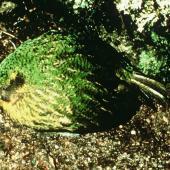 A population of less than two hundred birds was discovered on Stewart Island in 1977, but this population was also declining due to cat predation. During the 1980s and 1990s the entire known population was transferred to Whenua Hou/Codfish Island off the coast of Stewart Island, Maud Island in the Marlborough Sounds and Hauturu/Little Barrier Island in the Hauraki Gulf. Since then birds have been moved between Whenua Hou, Maud Island and Hauturu, as well as to and from newly predator-free Chalky and Anchor Islands in Fiordland. 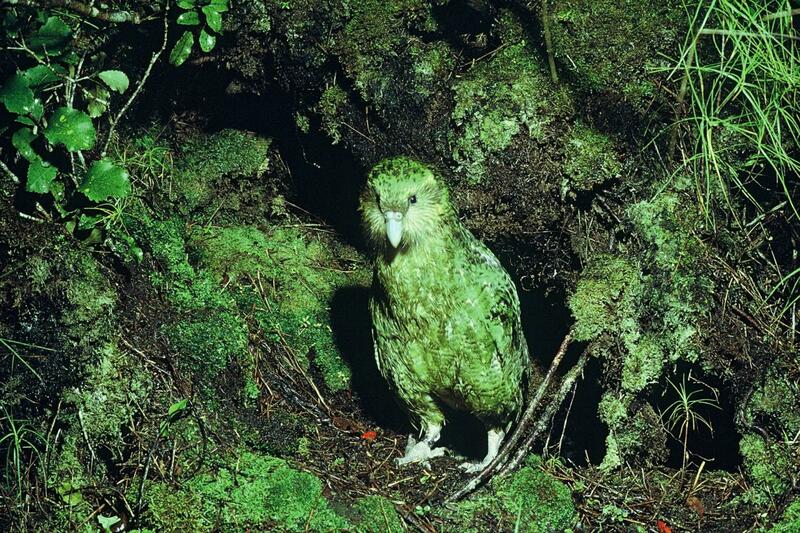 Kakapo now occur only on forested islands, though they previously appeared to have inhabited a wide range of vegetation types. A total of 154 birds was known in June 2017. All carry radio transmitters and are intensively monitored and managed. 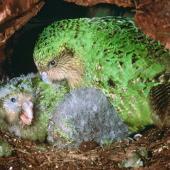 Adult kakapo are vulnerable to predation by cats and stoats, and their eggs and chicks can be killed by rats. 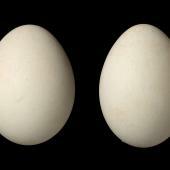 Females alone incubate eggs and raise chicks. As they must spend long periods away from the nest feeding, eggs and chicks are particularly vulnerable to predation when the nest is unattended. 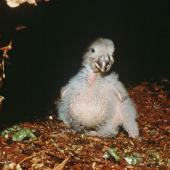 Chick-rearing is protracted, and nests become smelly and easy for predators to find. 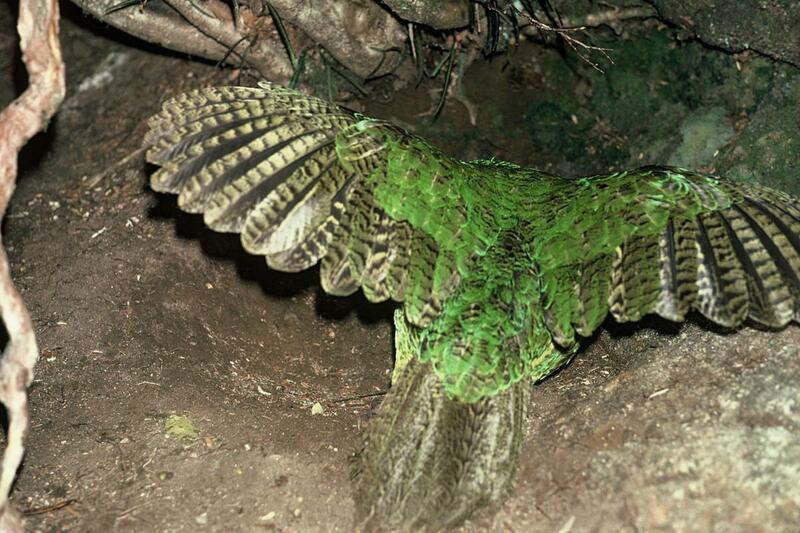 Away from nests, kakapo usually freeze and rely on cryptic colouration to hide them from predators. While this strategy worked when the main predators were birds that hunted by sight, it is a completely ineffective strategy to avoid mammalian predators that hunt by smell. 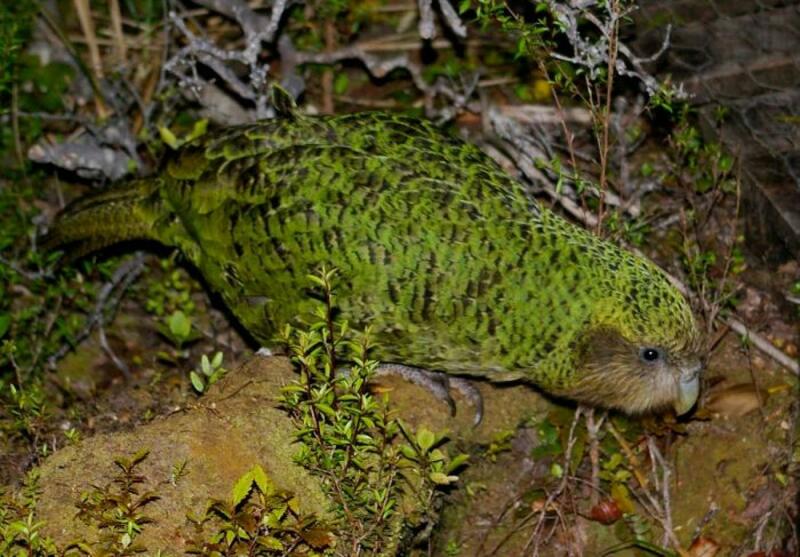 Attempts to protect kakapo from introduced predators by transferring them to Resolution Island in the 1890s failed when stoats swam to the island. 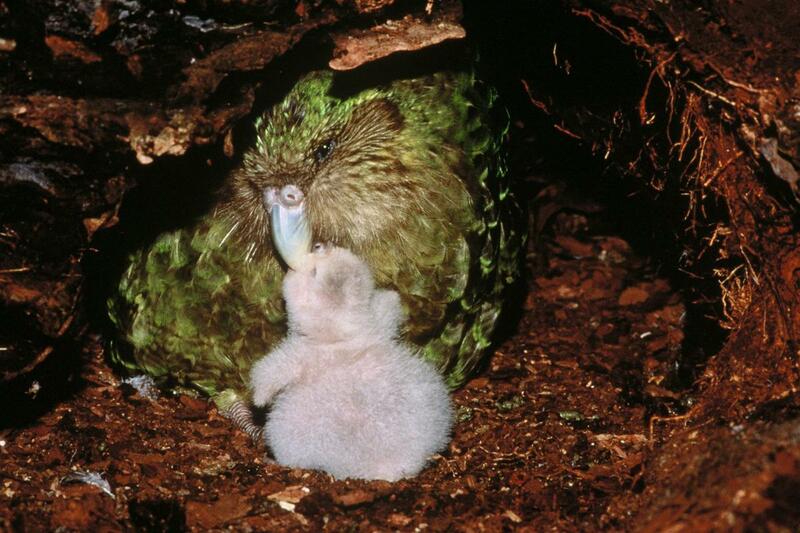 In the 1980s and 1990s transfers to completely predator-free Maud Island and to Hauturu and Whenua Hou which only had kiore, halted the kakapo’s decline. However, the population did not start to increase until kiore were removed from the islands and the birds were more intensively managed. Intensive management comprised moving the birds between islands, protecting nests from rats, supplementary feeding adults, closely monitoring eggs and chicks, and rescuing and hand-raising any failing chicks. 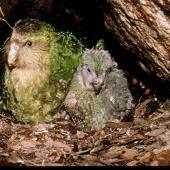 Kakapo have very low genetic diversity and, as a consequence, low fertility. Much recent conservation management has focussed on managing matings, and using artificial insemination to minimise further genetic loss. 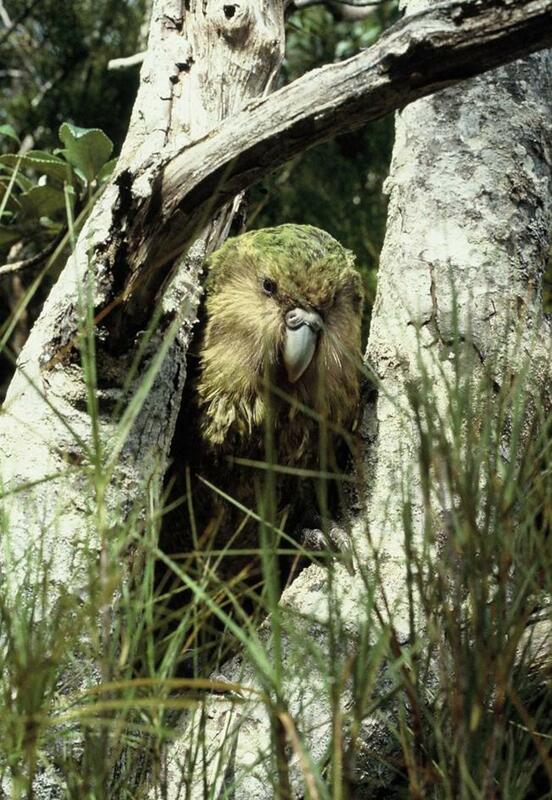 Kakapo are currently held on three islands (Whenua Hou, Anchor Island and Hauturu); they bred on all three islands in 2016, with 32 chicks surviving. 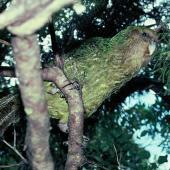 Kakapo breed in summer and autumn, but only in years of good fruit abundance. 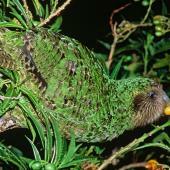 On islands in southern New Zealand they breed when the rimu trees fruit, which is once every 2 to 4 years. 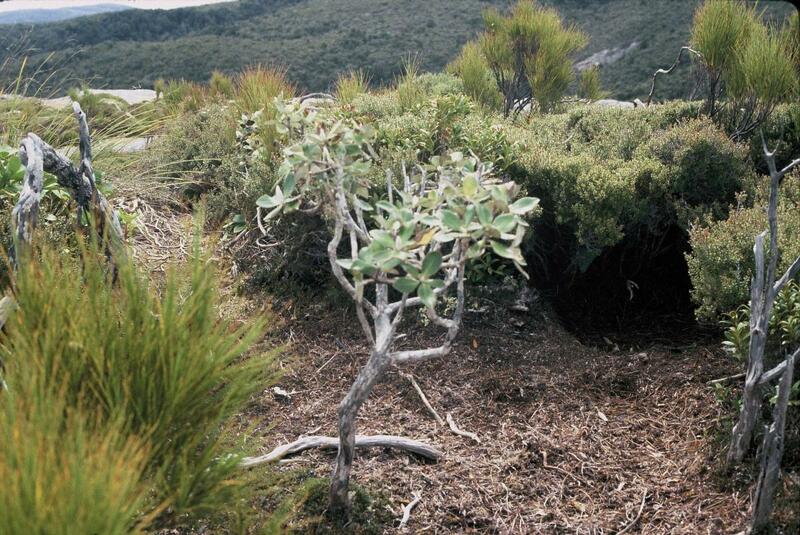 Elsewhere in New Zealand they probably nested when southern beech seeded, but the triggers for breeding in some northern places, including Hauturu, are unknown. 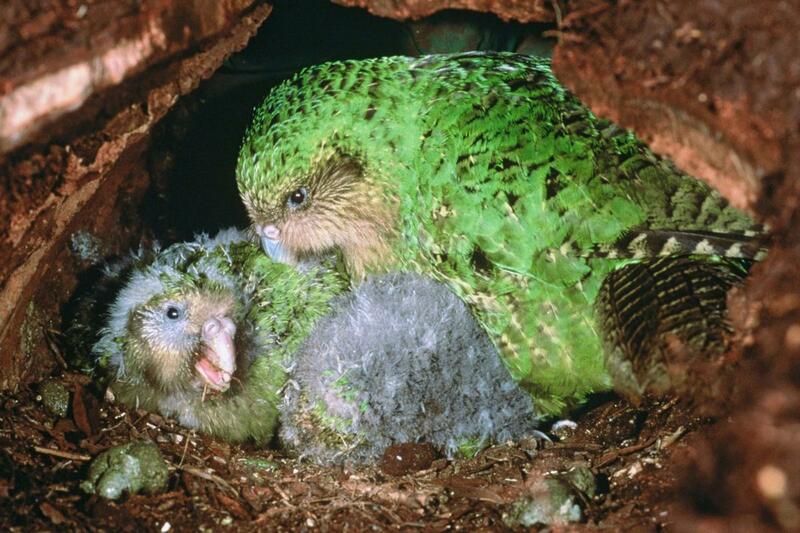 Kakapo are lek breeders. Males call from track-and-bowl systems to attract females for mating. 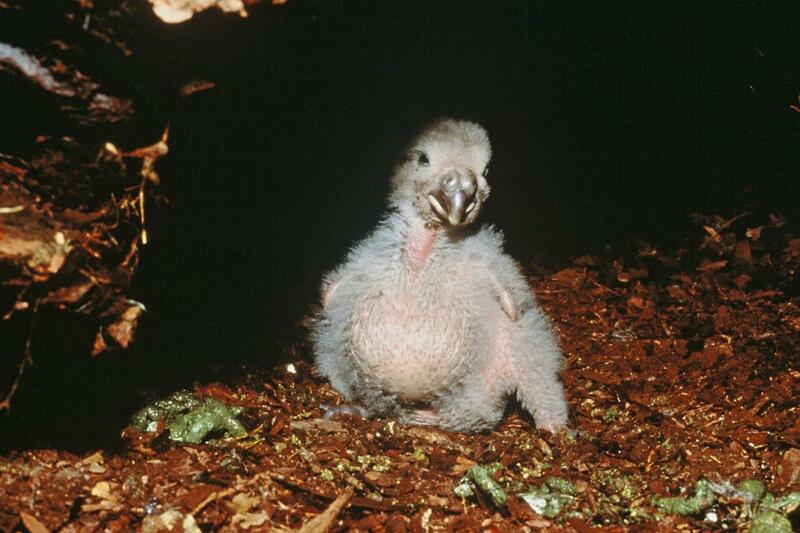 Males play no part in incubation or chick-rearing. 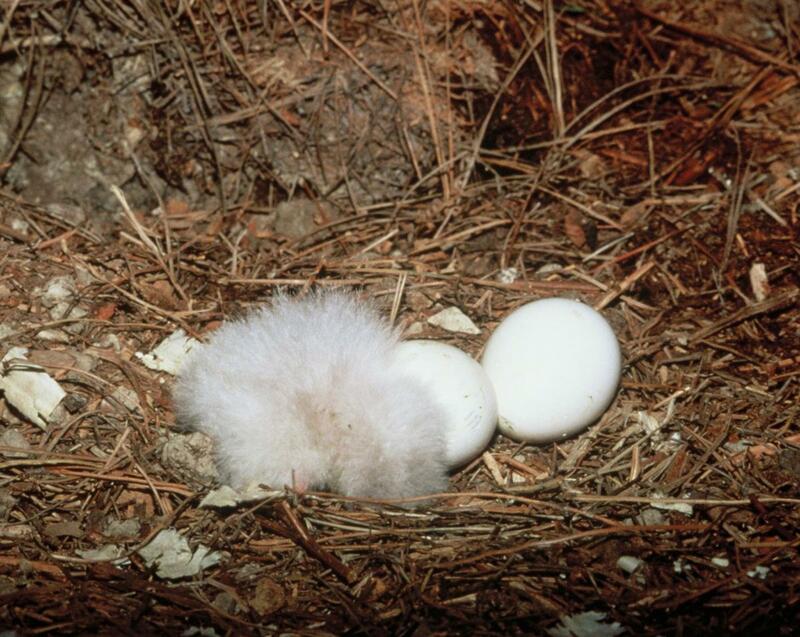 The nests are on or under the ground in natural cavities or under dense vegetation. 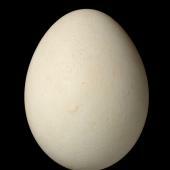 The 1-4 eggs are laid in a shallow depression in the soil or rotten wood, which is repeatedly turned-over before and during incubation. 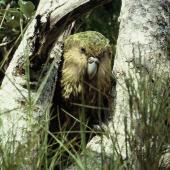 Kakapo are nocturnal and solitary, occupying the same home range for many years. They forage on the ground and climb high into trees. They often leap from trees and flap their wings, but at best manage a controlled plummet. Kakapo are entirely vegetarian. 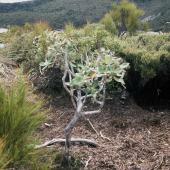 Their diet includes, leaves, buds, flowers, fern fronds, bark, roots, rhizomes, bulbs, fruit and seeds. Diet varies seasonally. 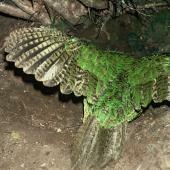 Mission Kākāpō Copulation – a light-hearted look at the extraordinary efforts that have been made by the Department of Conservation's Kākāpō Recovery Team. Atkinson, I.A.E. ; Merton, D.V. 2006. Habitat and diet of kakapo (Strigops habroptilis) in the Esperance Valley, Fiordland, New Zealand. Notornis 53: 37-54. Ballance, A. 2010. 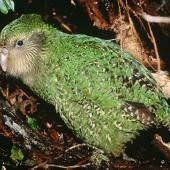 Kakapo: rescued from the brink of extinction. Craig Potton Publishing Limited. Butler, D.J. 2006. 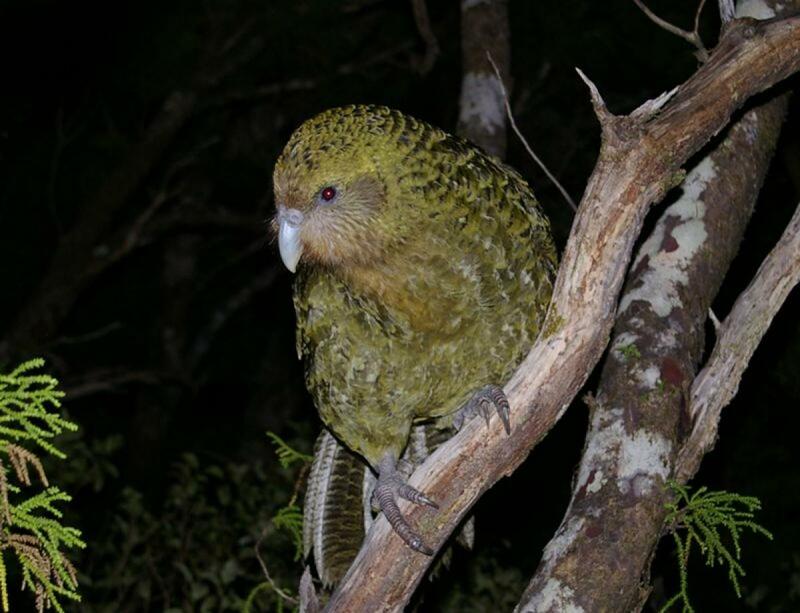 The habitat, food and feeding ecology of kakapo in Fiordland: a synopsis from the unpublished MSc thesis of Richard Gray. Notornis 53: 55-79. Cockrem, J.F. 2006. 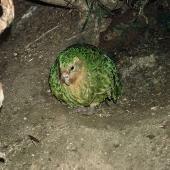 The timing of breeding in the kakapo (Strigops habroptilus). Notornis 53: 153-159. Cottam, Y.; Merton, D.V. ; Hendriks, W. 2006. 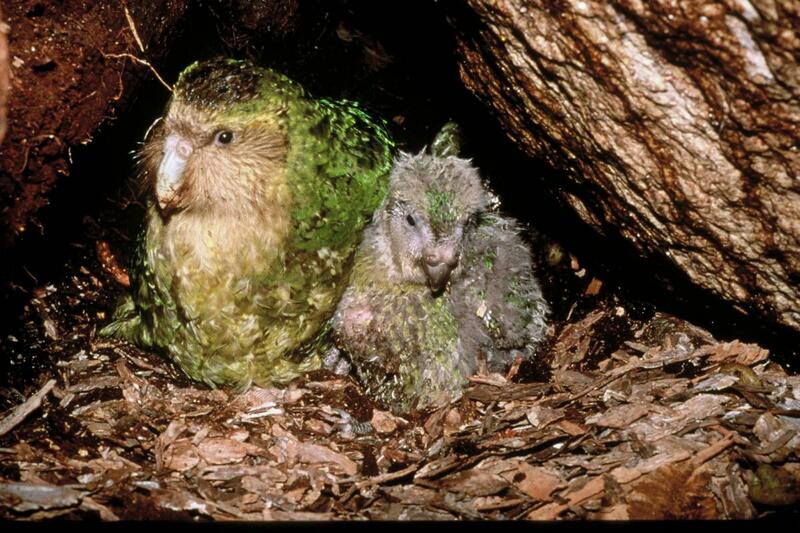 Nutrient composition of the diet of parent-raised kakapo nestlings. Notornis 53: 90-99. Eason, D.; Moorhouse, R. 2006. 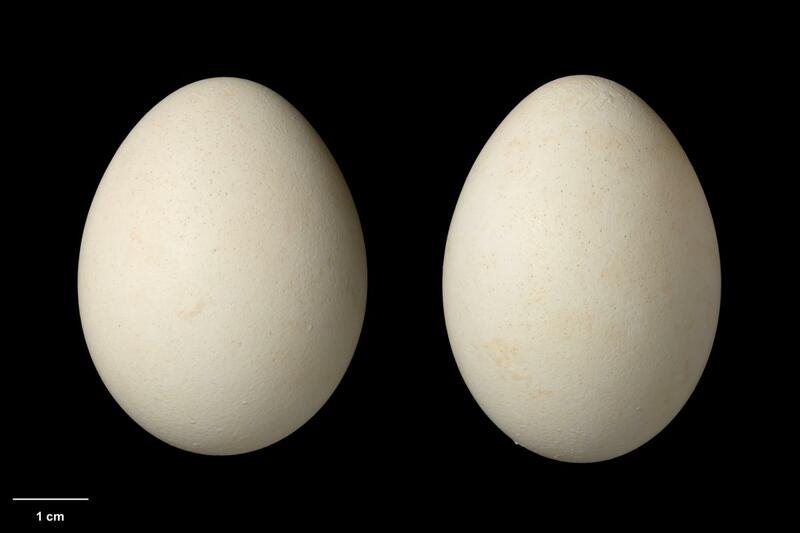 Hand-rearing kakapo (Strigops habroptilus), 1997-2005. Notornis 53: 116-125. Eason, D.K. ; Merton, D.V. ; Elliott, G.P. ; Jansen, P.W. ; Harper, G.A. ; Moorhouse, R.J. 2006. 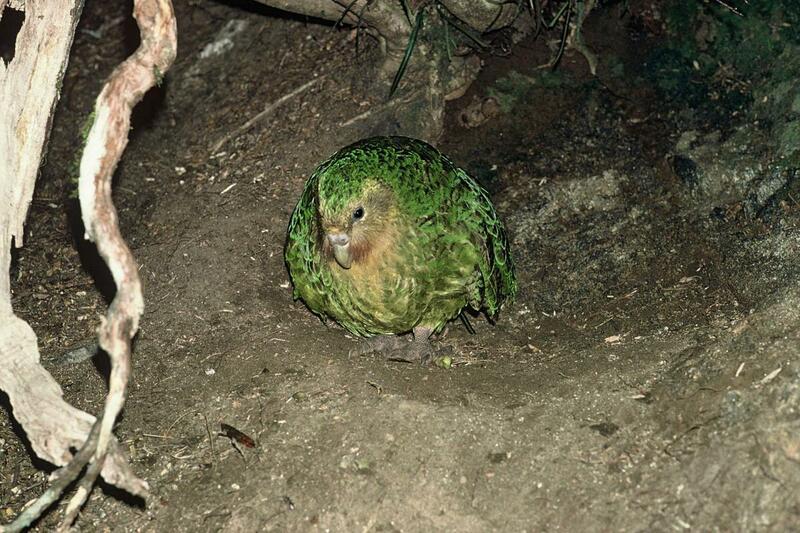 Breeding biology of kakapo (Strigops habroptilus) on offshore island sanctuaries, 1990-2002. Notornis 53: 27-36. Elliott, G.P. 2006. 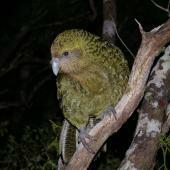 A simulation of the future of kakapo. Notornis 53: 164-172. Elliott, G.P. ; Eason, D.K. ; Jansen, P.W. ; Merton, D.V. ; Harper, G.A. ; Moorhouse, R.J. 2006. 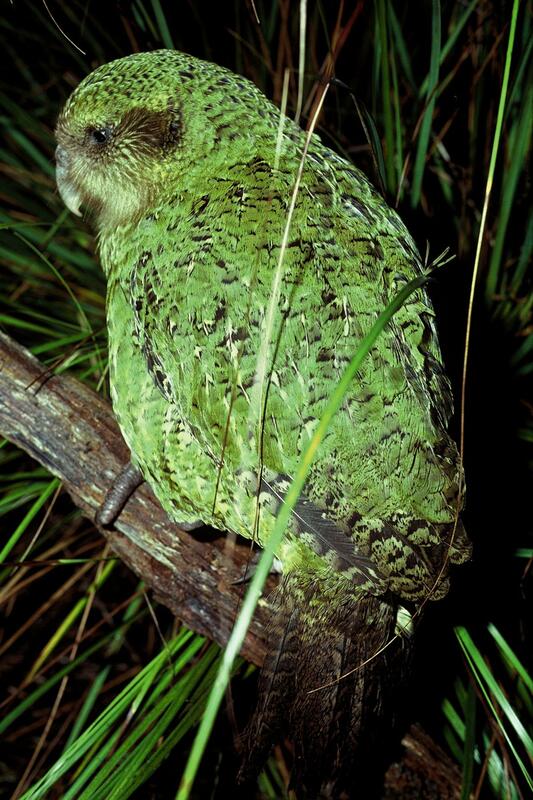 Productivity of kakapo (Strigops habroptilus) on offshore island refuges. Notornis 53: 138-142. Elliott, G.P. ; Jansen, P.W. ; Merton, D.M. 2001. 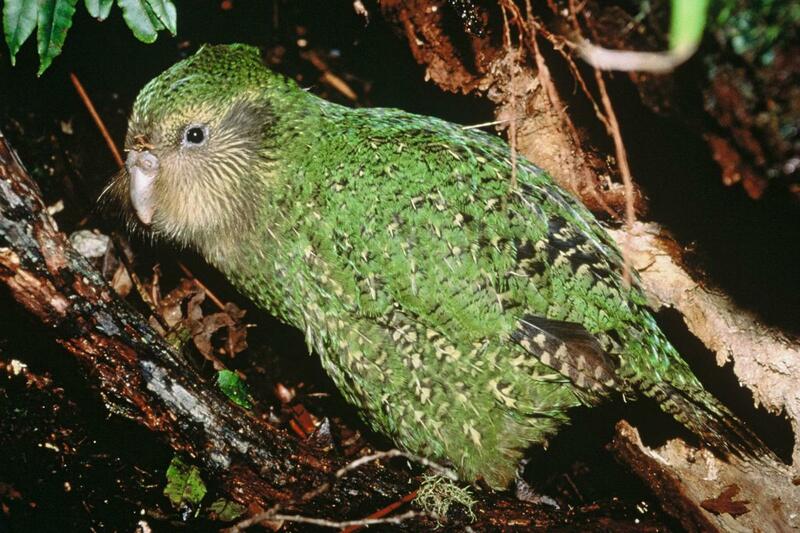 Intensive management of a critically endangered species: the kakapo. Biological Conservation 99: 121-133. Farrimond, M.; Clout, M.N. ; Elliott, G.P. 2006. Home range size of kakapo (Strigops habroptilus) on Codfish Island. Notornis 53: 150-152. Farrimond, M.; Elliott, G.P. ; Clout, M.N. 2006. 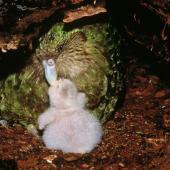 Growth and fledging of kakapo. Notornis 53: 112-115. Harper, G.A. ; Elliott, G.P. ; Eason, D.K. ; Moorhouse, R.J. 2006. 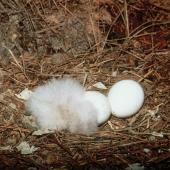 What triggers nesting of kakapo (Strigops habroptilus)? Notornis 53: 60-63. Harper, G.A. ; Joice, J. 2006. Agonistic display and social interaction between female kakapo (Strigops habroptilus). Notornis 53: 195-197. Jansen, P.W. 2006. Kakapo recovery: the basis of decision-making. Notornis 53: 184-190. Powlesland, R.G. ; Cockrem, J.F. ; Merton, D.V. 2006. 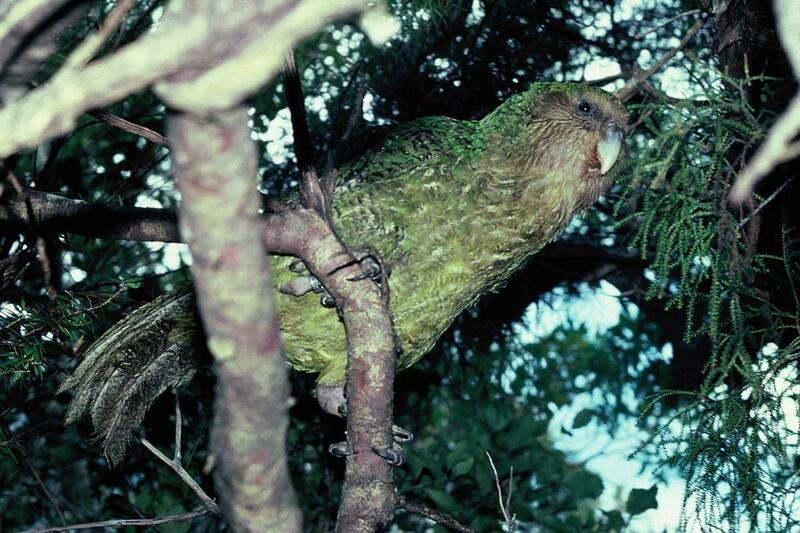 A parrot apart: the natural history of the kakapo (Strigops habroptilus) and the context of its conservation management. Notornis 53: 3-26. Raubenheimer, D.; Simpson, S.J. 2006. 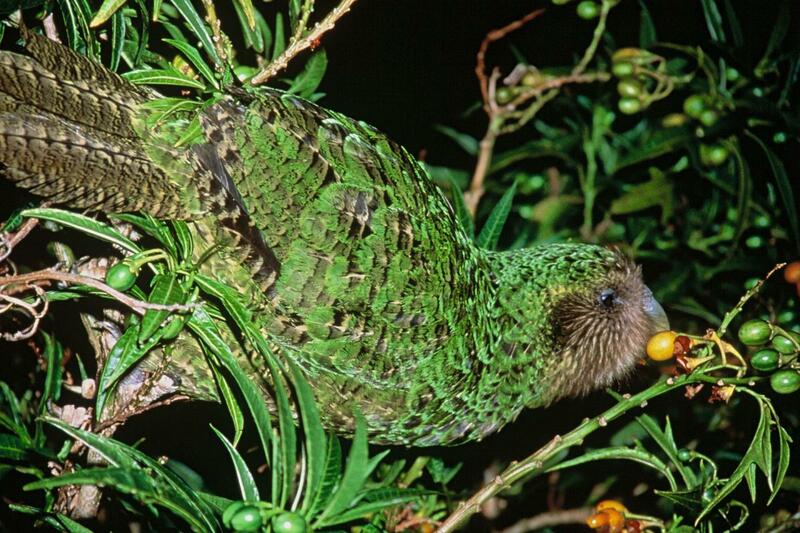 The challenge of supplementary feeding: can geometric analysis help save the kakapo. Notornis 53: 100-111. Robertson, B.C. 2006. 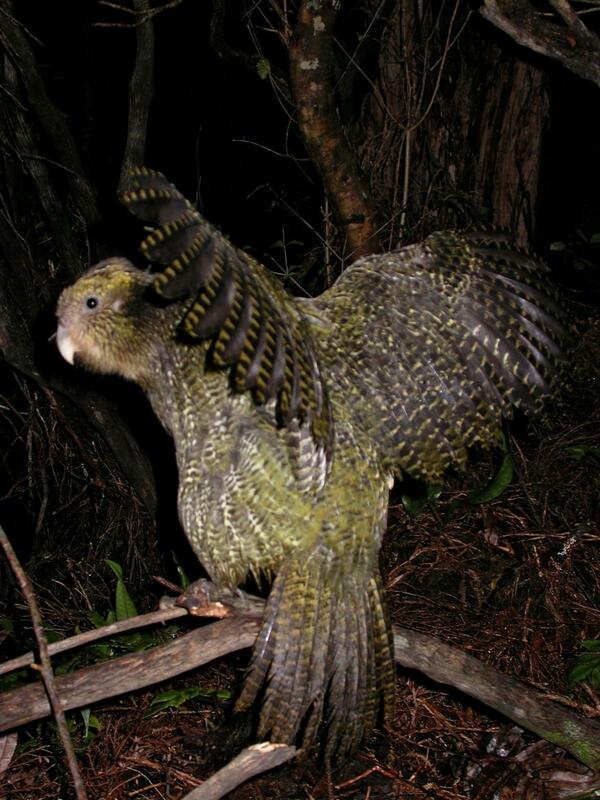 The role of genetics in kakapo recovery. Notornis 53: 173-183. Tipa, R. 2006. 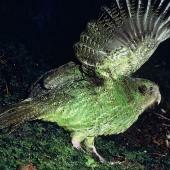 Kakapo in Maori lore. Notornis 53: 193-194. Walsh, J.; Wilson, K.-J. ; Elliott, G.P. 2006. 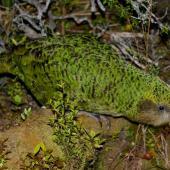 Seasonal changes in home range and habitat selection by kakapo (Strigops habroptilus) on Maud Island. Notornis 53: 143-149. Wilson, D.J. ; Grant, A.D.; Parker, N. 2006. Diet of kakapo in breeding and non-breeding years on Codfish Island (Whenua Hou) and Stewart Island. Notornis 53: 80-89. Wood, J.R. 2006. Subfossil kakapo (Strigops habroptilus) remains from near Gibraltar Rock, Cromwell Gorge, Central Otago, New Zealand. Notornis 53: 191-193. On or beneath the ground in a natural cavity or under dense vegetation. 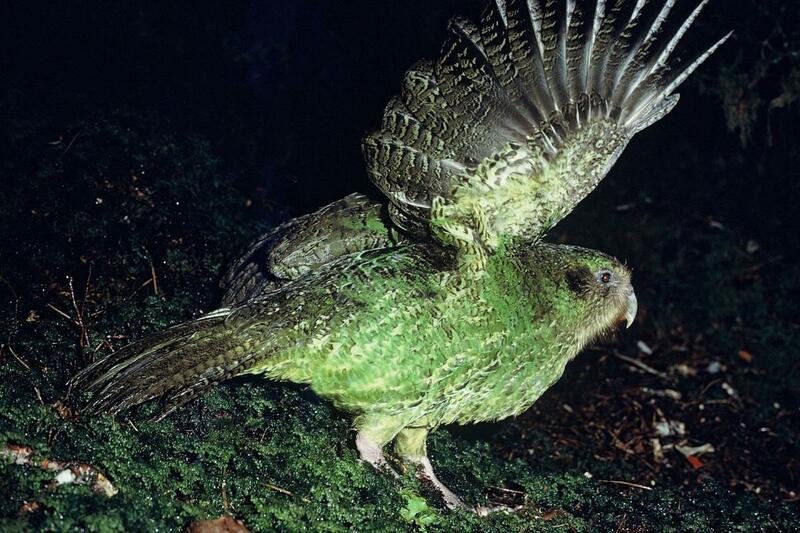 A very large bulky flightless moss green parrot with a pale owl-like face and large grey bill, legs and feet. The upperparts are moss green mottled with yellow and black above, and similar but more yellow below.